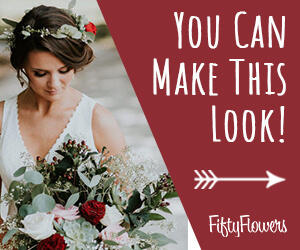 In the matching bridal bouquet tutorial, I showed you several options as handle treatments. 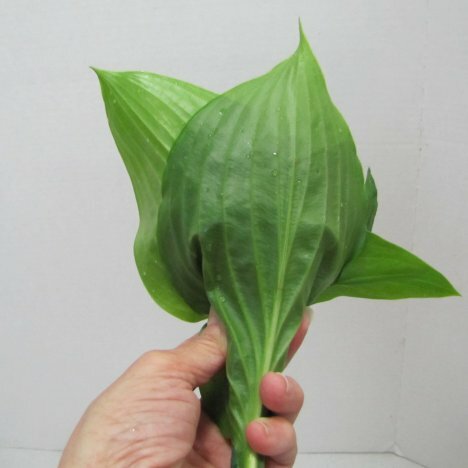 For the bridesmaid bouquet, I'm going to cover it by quickly adding Aspidistra leaves. 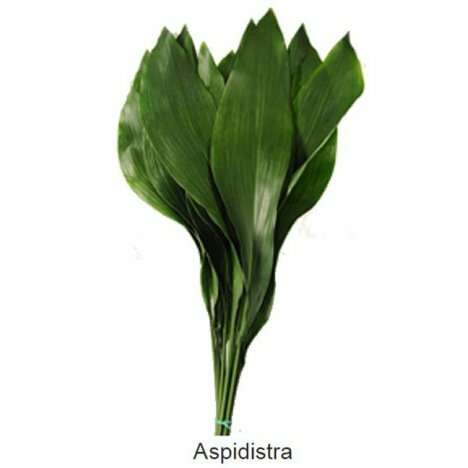 Aspidistra comes in both a dark solid green and a variegated color. 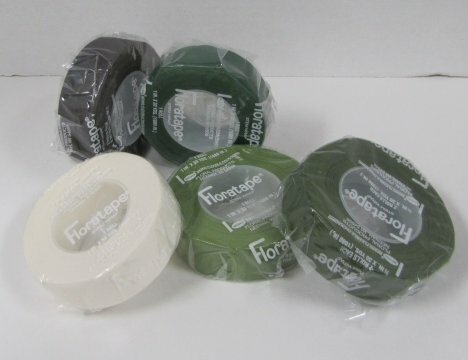 Since I'm filling in the center with variegated pittosporum, I'm going to use the solid green so it doesn't make the bouquet design "too busy". 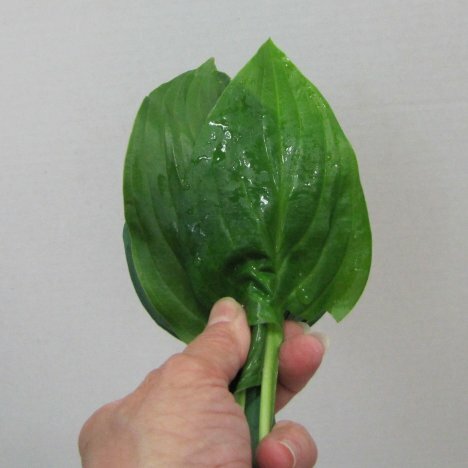 Simply fold the broad green leaves around the head of the bouquet holder in a slight "cupping" manner. 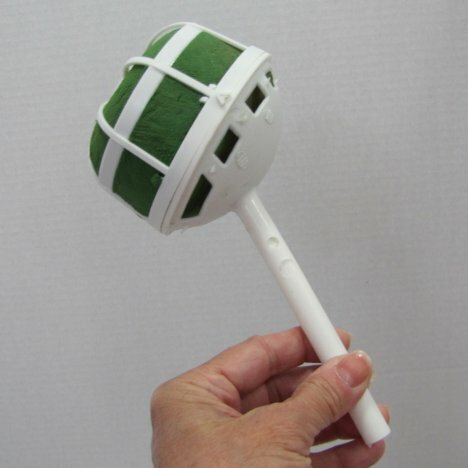 Overlap the leaves so no white of the holder shows. Once I've completely enclosed the bouquet holder, I start at the neck of the holder (right at the top where the handle meets the head of foam) and start winding my floral tape around the stems.